Taking shits that an elephant would be proud to be called the creator of. 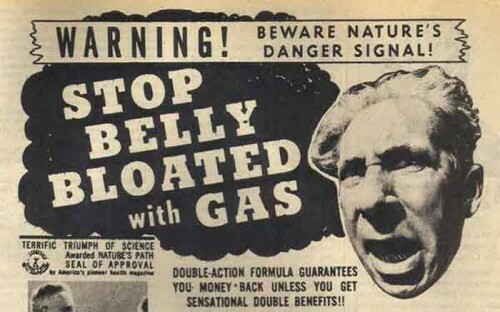 Do old men really want to relieve gas and bloat? I don’t think so. Secretly I think they like it; it’s nature’s natural defense mechanismâ€”like the ink sac in a squid.